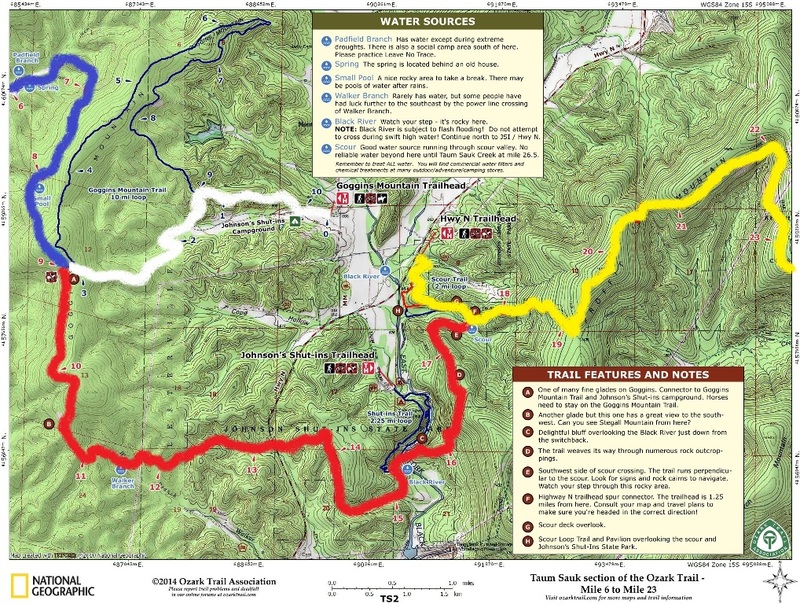 The Ozark Trail section hike is coming up soon and I think we’re all set. Just need to finish gathering up the food. 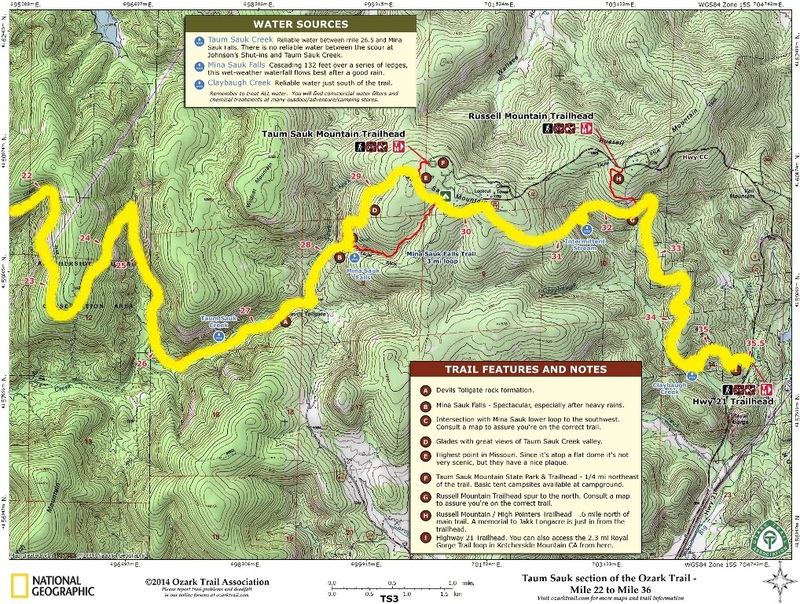 We’ll be covering the trail highlighted in yellow on the maps below. 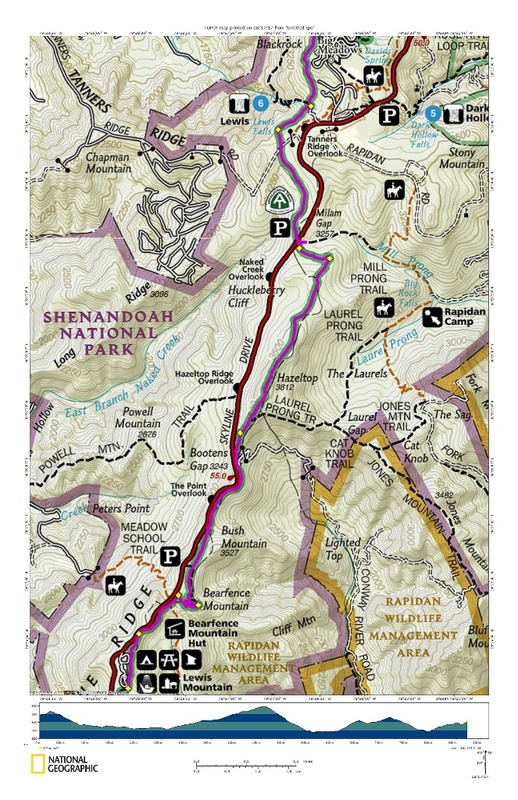 Roughly 21 miles. If the weather is in our favor we’ll take it nice and slow so Loonie can try to get some good pics. 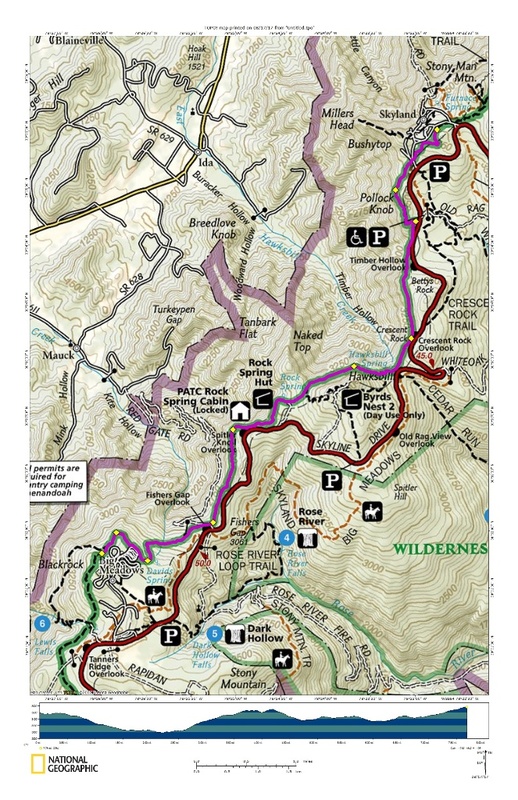 The blue highlighted trail is what I covered back in May and the red highlighted parts are those that I’ll need to do to finish the Taum Sauk section of the OT…about 8-1/2 miles. Hopefully we’ll be able to do those over a weekend later in the year. 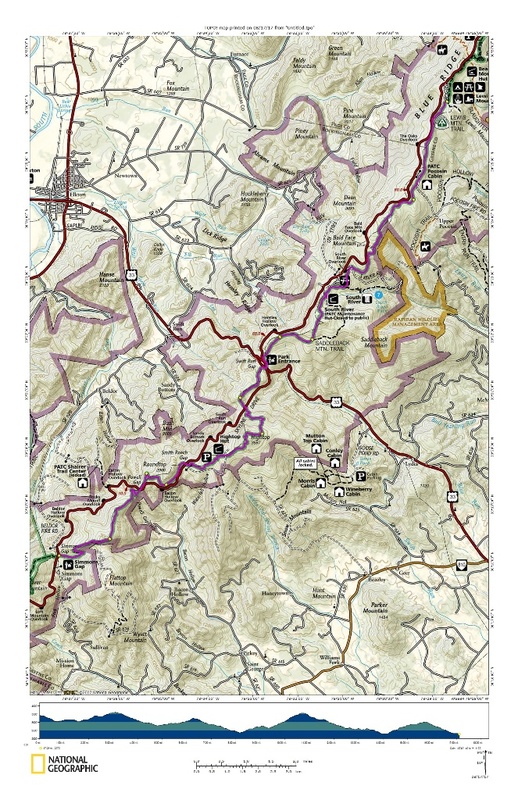 The white highlighted sections are other trails we’ve done in the area. 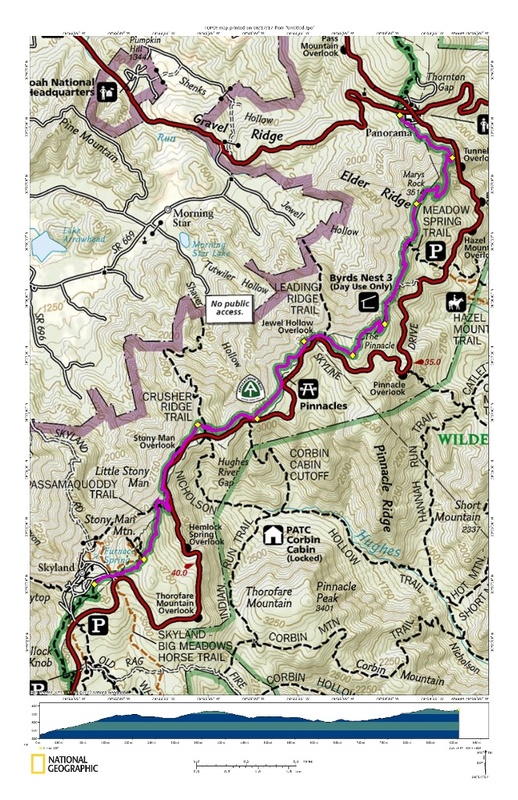 I think we’ll tackle the 24-mile Middle Fork section either in the Fall of this year or, more likely, in the Spring of 2018, before Deep Woods and I head off to do our annual section hike on the AT. 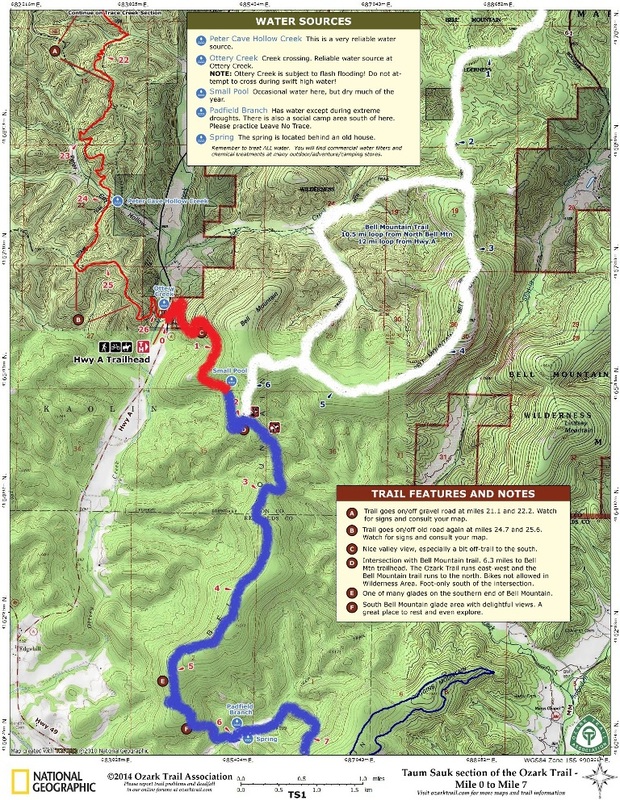 The OT Middle Fork section picks up where we’ll have hopefully left off this Fall at the Highway DD/32 trail head in the east and make it’s way west before turning south and ending at the Highway J trail head at Brushy Creek.